Front and Rear Touchless Sensors Minimize Food Contamination ? Touchless sensors allow Valor 7000 to operate certain functions without the touch of a button, reducing the risk of food cross-contamination and extending the life of the scale! Dual Backlit Displays Allow For Quick and Easy Weighing ? Large front and rear displays with brilliant backlights and checkweighing LEDs are among Valor 7000s user-friendly features allow two operators to work on one scale at the same time or for retail use. Rapid Stabilization Provides Unmatched Throughput ? Reap the benefits of a one second stabilization time and precise results, greatly increasing throughput. Front and Rear Touchless Sensors Minimize Food Contamination - Touchless sensors located in the front and rear allow you to do all of your weighing without ever touching the scale! Determine weight and perform zero, tare or print operations with one swift hand motion. This will help reduce the chances of food crosscontamination and ultimately provide years of reliable service. Dual Backlit Displays Allow for Quick and Easy Weighing in Retail Use - Valor 7000s many functional features make it one of the most userfriendly products on the market. Large displays on front and back of the Valor 7000 allow it to be used in countertop retail applications where the consumer needs to see the weight on the platform. This feature also allows two operators to share one scale and are easy to read even from a distance. The 1.5? front display and 1? rear display are both equipped with an LCD backlight for added clarity. The bright checkweighing LEDs clearly show when the weight on the platform is under, over or within the target range. Rapid Stabilization Provides Unmatched Throughput - See your results in a blink of an eye! Valor 7000 produces precise results in just one second. Maximize your time and increase your throughput by quickly displaying results. Eliminate diminished productivity and the concern of unstable results with Valor 7000. Stainless Steel Platform, Sturdy Housing and Non-Slip Grip - Valor 7000 features a removable stainless steel weighing platform and sturdy ABS housing that can stand up to daily use under the most demanding conditions. The large, non-slip leveling feet grip the counters surface and prevent the scale from sliding during use. 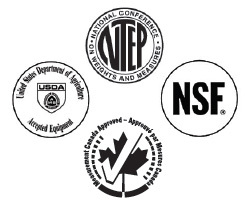 Certifications - The Valor 7000s food-safe design is NSF Certified, USDA-AMS Accepted and supports HACCP-Certified systems. 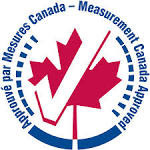 The Valor 7000 Series of scales meets or exceeds the Class III accuracy requirements in accordance with NIST Handbook 44 and Canadas Weights and Measures Regulation. 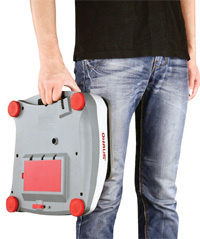 Portability and Versatile Power Options - With its convenient integrated carrying handle and rechargeable lead acid battery that can provide power for more than 210 hours between recharges, the Valor 7000 can provide many hours of uninterrupted operation wherever you need it in your business. The Valor 7000 includes an internal power transformer, so there are no outlet-hogging powerpacks, just a dedicated line cord. 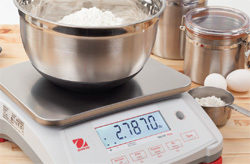 Weighing Determine the weight of items in one or more weighing units -- lb, oz, lb:oz, kg or g use the 0.05g to 1g readability for weighing additives, spices and yeast. 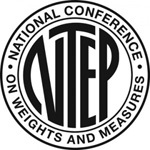 Percentage Weighing The Valor 7000 includes % weighing for recipe formulation and bakers percentages. Just weigh the flour on the Valos platform, capture the reference weight and all other ingredients can be weighed as a % of the flour weight, making small batches of dough quick and easy to work up!